Please plan on arriving in Gorham no later than 4:30pm. If you haven’t been to Wainright before, plan on an extra ten minutes to find your way. It’s a bit of a walk from where you park the cars and though the fields will be well-labeled, it’s still a good idea to factor in a bit of extra time to find your way to the right field. Players should plan on being ready, cleated up, and ready to warm up by 11:30am. There will be food trucks at the fields, though players should still plan on bringing tournament snacks to tide themselves over. It’s also not a bad idea to plan your food truck visits either well before or well after the lunch time rush. Busy lines can get long. And finally— great news! Our shirts and shorts will be delivered a week early and will be delivered to my house by 8pm tomorrow. 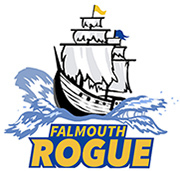 Hopefully the UPS truck finds its way to my house before I make the drive to Gorham for the game, but at the very least, we’ll be fully kitted up and ready to rock at the tournament on Sunday. All players should visit this page to register their jersey size, name, and number choices. Also, don’t forget your weekly homework: go for a 20-minute jog and watch 20 minutes of a professional level ultimate frisbee game. Any of the games posted here on the site are fine. 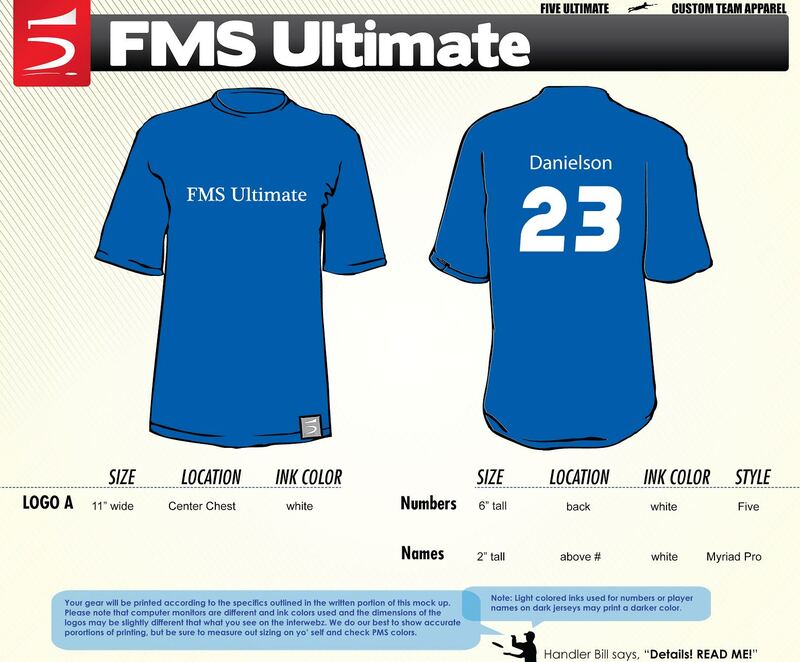 We’re going to get names and numbers printed on the backs of our team jerseys this year so all registered players need to visit the FMS Ultimate jersey form and enter in last name information and number choices. It takes just a quick minute.